Tucked away in North London lies an ordinary building which is easily accessible yet lacks a sign or any distinction, you might never notice it or even realise what the space is for. However, there is something extraordinary about its purpose and the individuals inside; it is a therapeutic centre for Shoah (Holocaust ‘catastrophe’) survivors, refugees and children from the kindertransport. Being the first of its kind in the world and the only one in the UK, the ‘Tzedakah Centre’ (a pseudonym) offers a unique case study for my dissertation which explores how ageing survivors reflect on Shoah memory and the difficulties they consequently face towards the end of life. Tzedakah runs six days a week and offers a holistic therapeutic programme for members, as well as a space for them to socialise and benefit from a sense of community and a shared understanding of this traumatic experience. This will also give me an opportunity to evaluate how Jewish community care organisations meet the unique needs of these vulnerable people. Initial observations show that the centre has regulars and occasional attendees, most come for particular activities such as bridge, Yiddish language speaking and stimulation based classes. A sizeable amount of the members were children or adolescents in Europe living under Nazi occupation and as a result were denied an access to education (amongst many other rights). Wellbeing activities thus have a strong emphasis on enrichment, with art, art history, creative writing, and Israeli music featuring highly in the schedule. The creative writing sessions serve as a particular outlet for reflecting on experience of the Shoah and its impact across the lifecourse. For example, a member had written her own obituary as she feared she would die without the world knowing her story, struggle, and will to survive. The characters in another story indicated one individual’s inability to relate to younger generations, having lost her own period of youth. This workshop gave a strong idea of how the Shoah has continued to be internalised for survivors and refugees, and the effects on everyday life and thoughts. I soon learnt how food is an essential aspect of the centre, particularly when so many have experienced the absolute meaning of hunger. During my induction, a member of staff informed me that soup must be made thick, warm and creamy, for thin and watery soup elicits memory of the camps. Sweet breads, rugelach and biscuits are always available but not always eaten; some individuals just need to know that the food is there and constantly available. The centre only serves kosher foods to respect Jewish dietary laws and members are requested not to bring outside food with them. I therefore hope to shed further light on cultural eating behaviours, and see if any importance is ascribed to Jewish foods as people age and if this has any impact on wellbeing. I was initially struck by how forthcoming the members were with my project and how at ease they felt when sharing their narratives on my first visit last week. This has made me reconsider many ethical obligations that I had previously taken for granted as an anthropologist. Do I strive to protect the anonymity of informants who want their own voices to be heard? This is especially the case for members who have published testimonies after having their own identities stripped and replaced with serial numbers, or for those who wish to keep the memory of victims alive. As somebody who is at the very beginning of their academic career, this is an interesting hurdle, one that will perhaps unfold gradually as research commences over the coming term. Although my dissertation is really in its infancy, it is clear the members are flourishing despite catastrophe and the study of ‘Tzedakah’ has wide implications for the coalescence of religion, culture and health. In time I hope to contextualise how ethnic and religious care organisations facilitate access to culturally specific elements, which individuals seem to increasingly desire in order to comprehend and adjust to personal trauma and age-related needs. 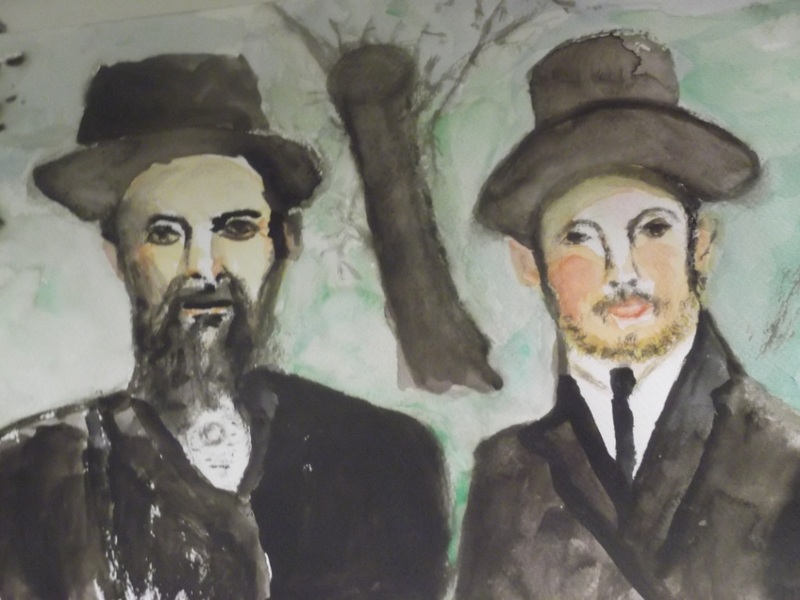 This entry was posted in Ideas and tagged flourishing, imagination and creativity, Jewish, medical anthropology, Shoah, survivor. Bookmark the permalink.